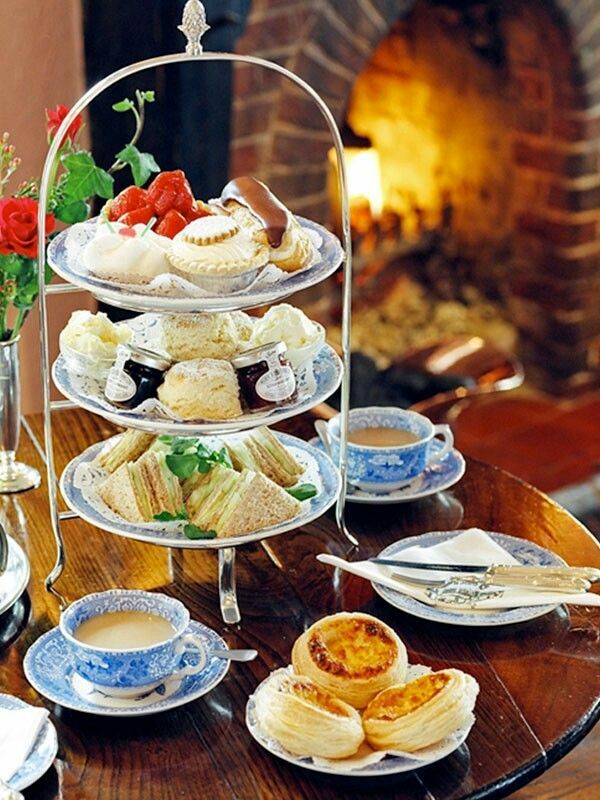 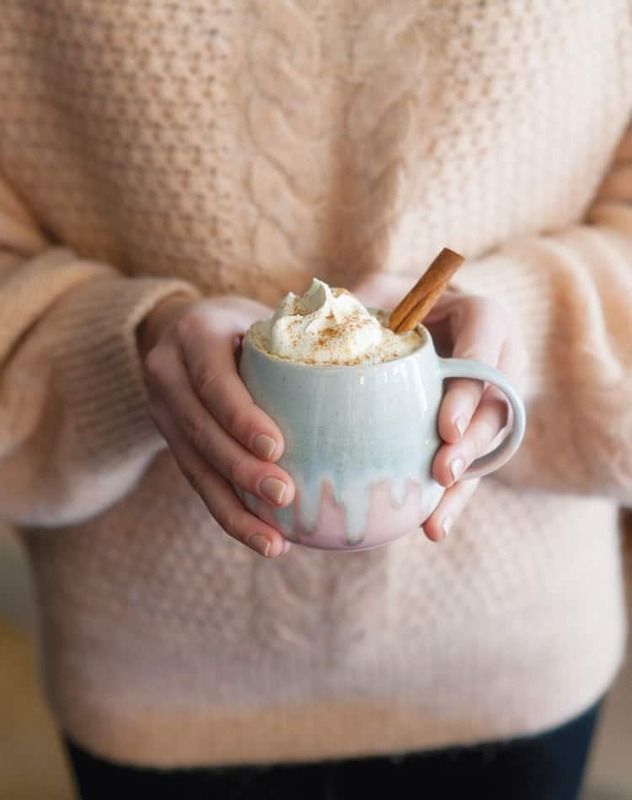 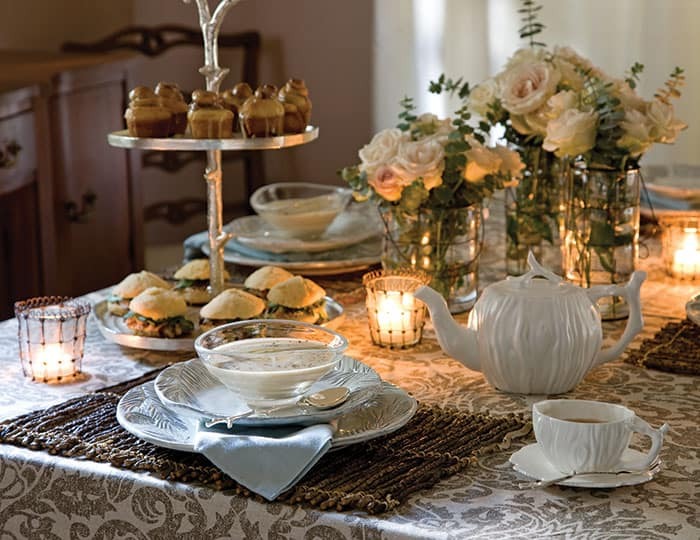 A winter Afternoon Tea for blustery, chilly and even… snowy days. 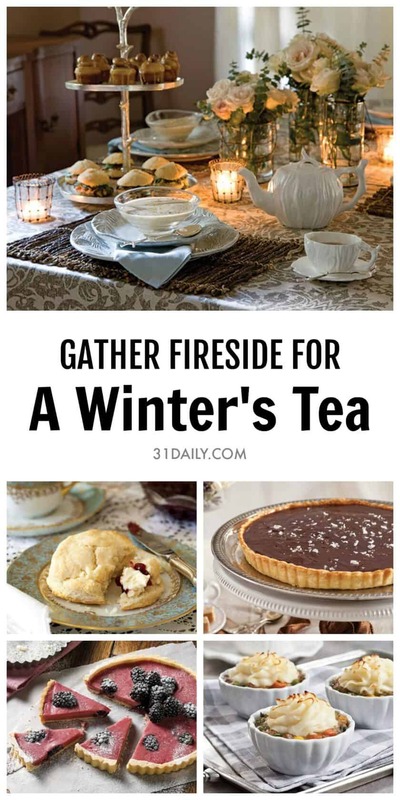 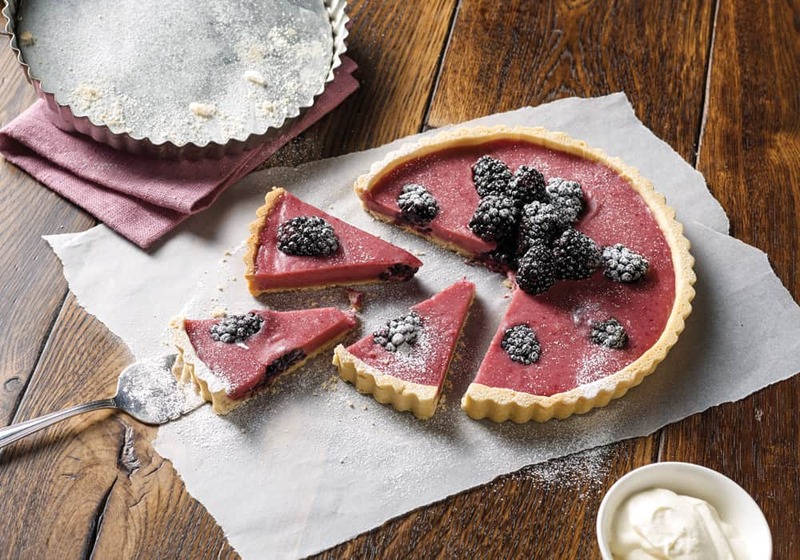 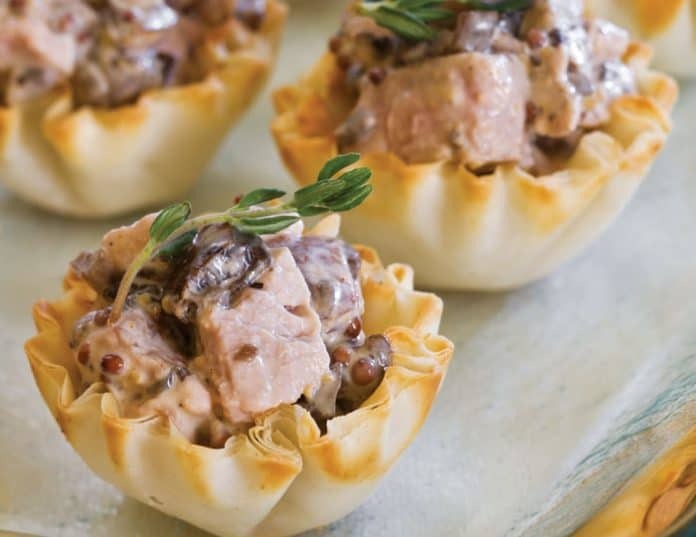 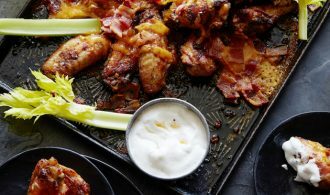 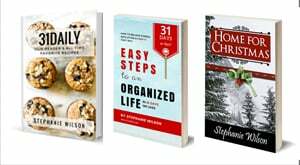 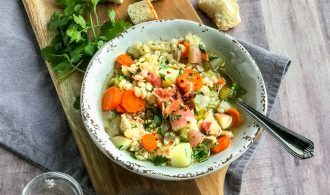 Simple winter recipes to gather friends and family near. 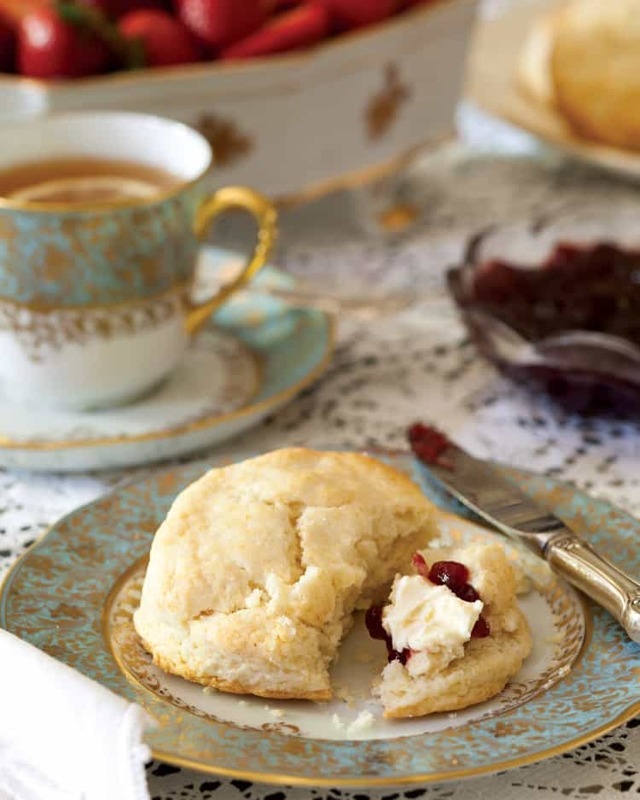 A hearty winter-perfect scone that’s easy to make and perfect drizzled with honey. 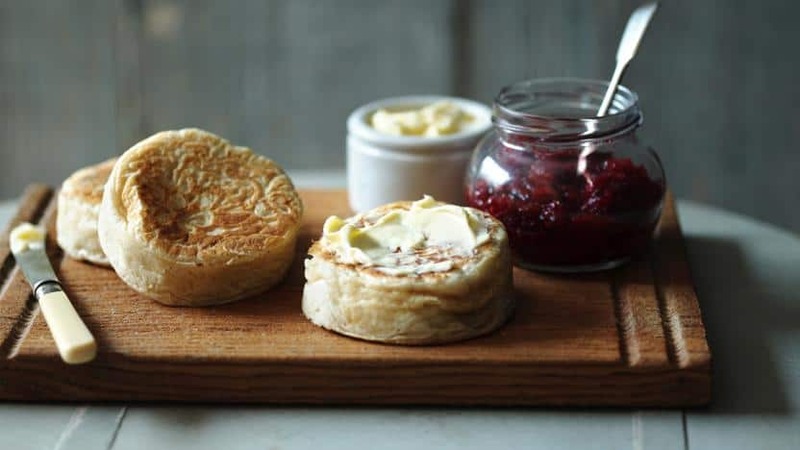 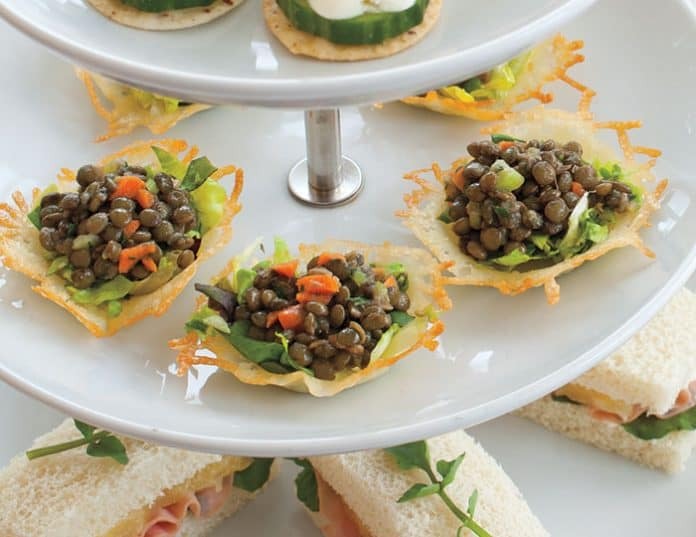 Turn teatime into an event by making your own crumpets on the hob. 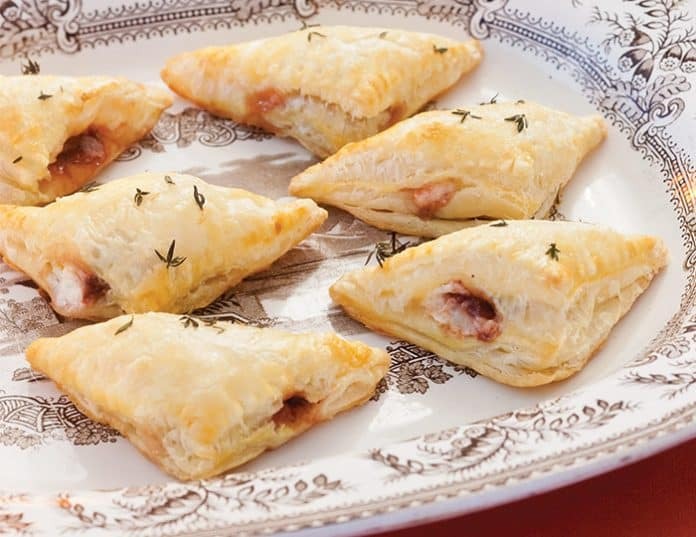 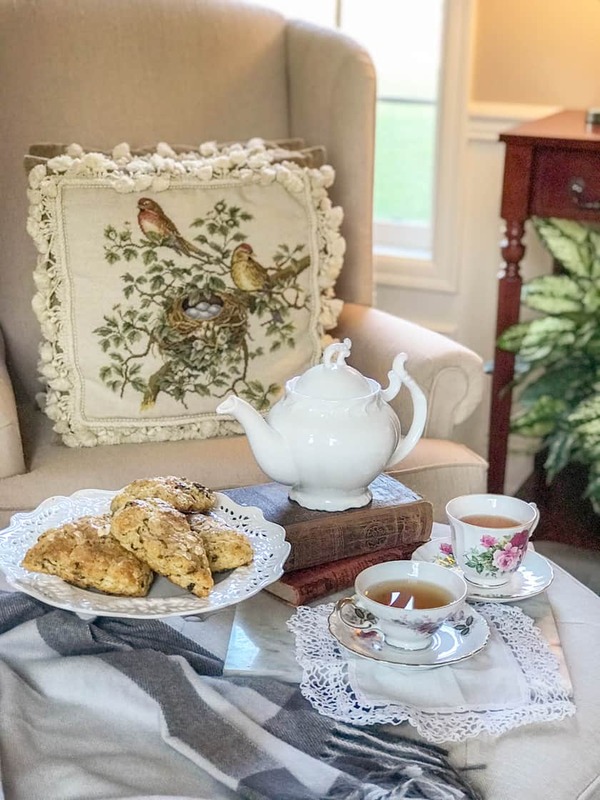 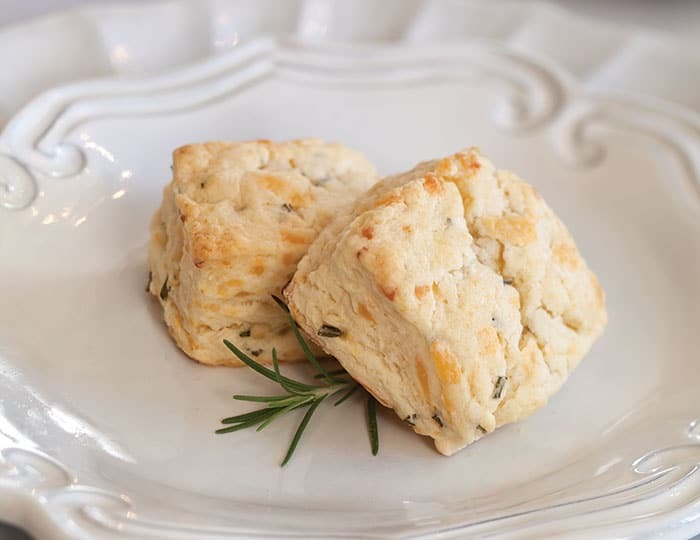 “Smoked Gouda and Rosemary Scones, made with self-rising flour, fresh rosemary, and gouda cheese.” A warm and savory component to a winter afternoon tea. 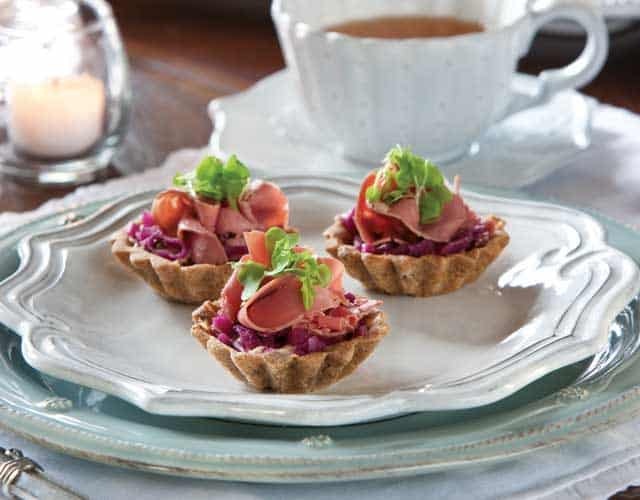 A savory, hearty addition to any winter tea. 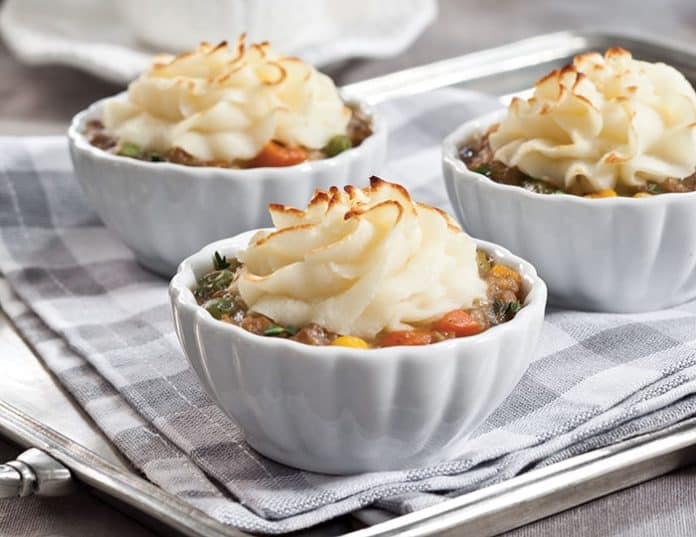 Individual Shepherds’ Pies turn a winter afternoon tea into a hearty meal. 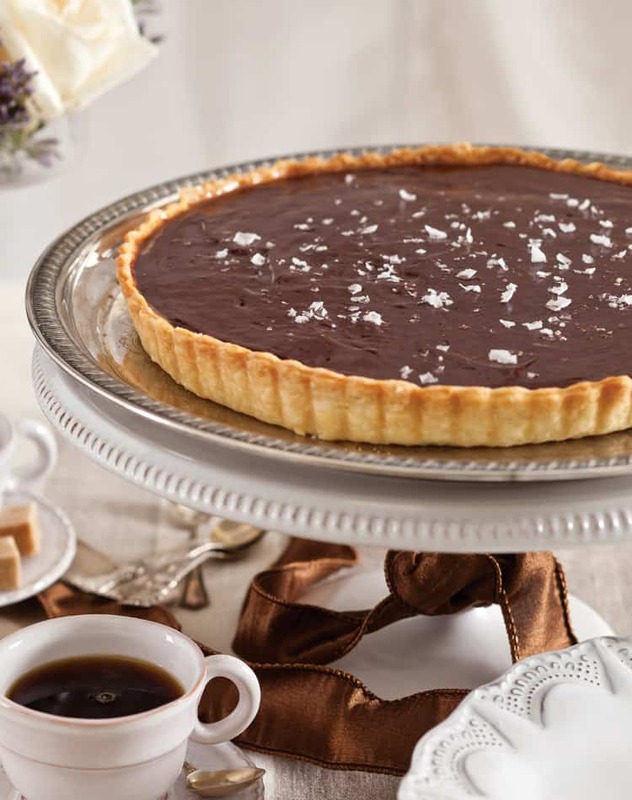 A flaky crust, rich with butter, rims a layer of espresso-infused caramel and a velvety filling of bittersweet ganache sprinkled with sea salt in this Chocolate-and-Salted-Coffee Caramel Tart. 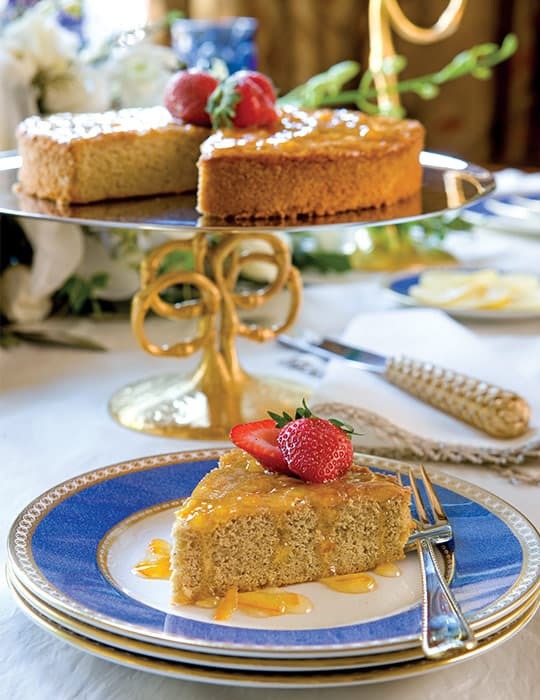 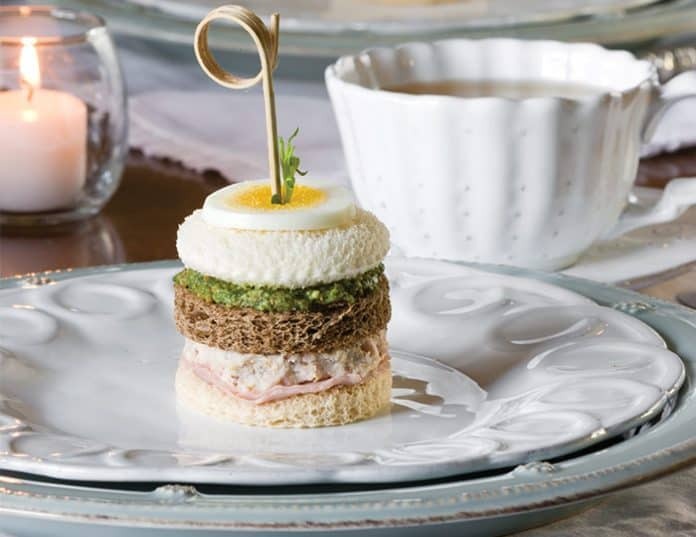 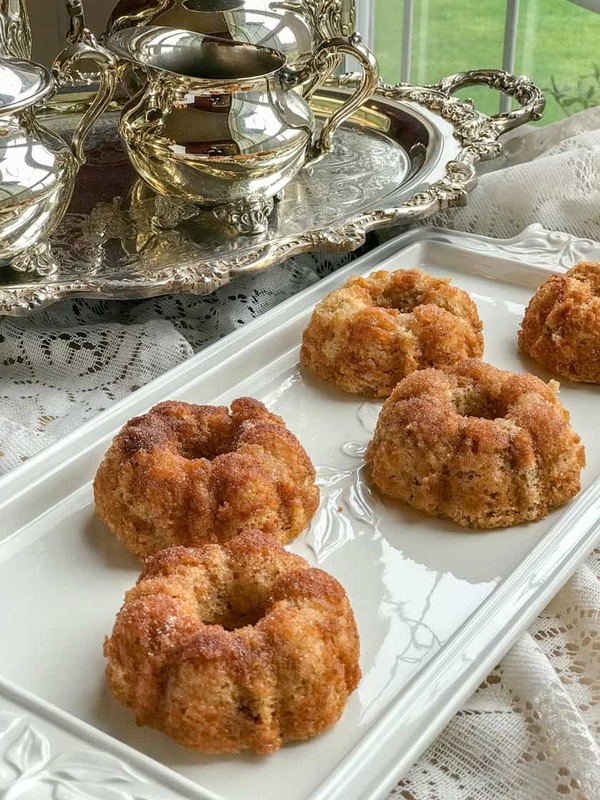 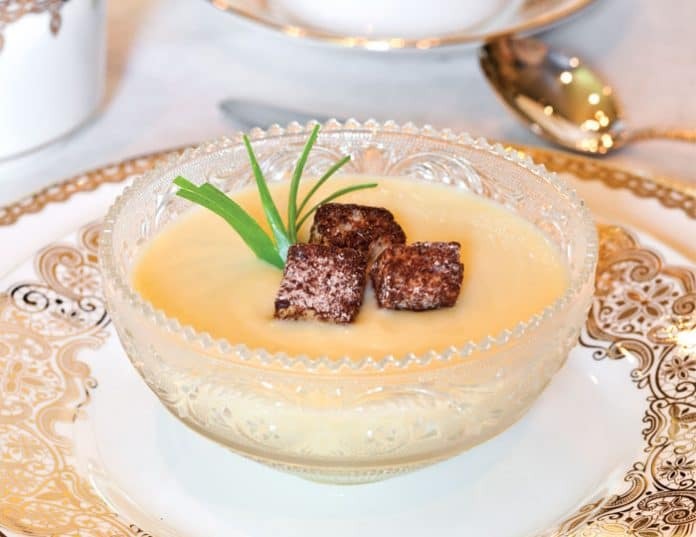 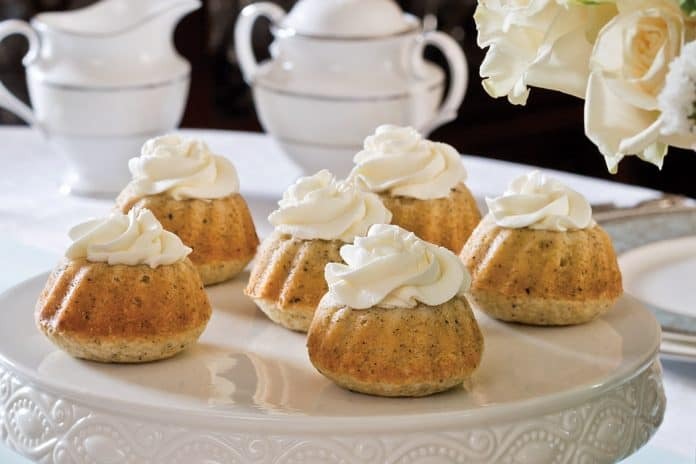 Treat your guests to a teacake served by First Lady Dolley Madison at her renowned White House afternoon teas in the early 1800s.